Amplify your product, marketing and sales efforts by staying up-to-date with all of your competitors. From search engine rankings to product prices, OneSpace helps you collect key competitor data in hours, allowing your teams to focus on the tasks that matter most. OneSpace’s scalable data collection process is trusted by companies in a variety of industries, from software and tech to e-commerce and online retail. Quickly understand the competitive landscape and make data-driven decisions. By collecting in-depth competitor information, you can stay a step ahead in your industry and boost sales. Educate: Stay up-to-date on competitive marketing campaigns. 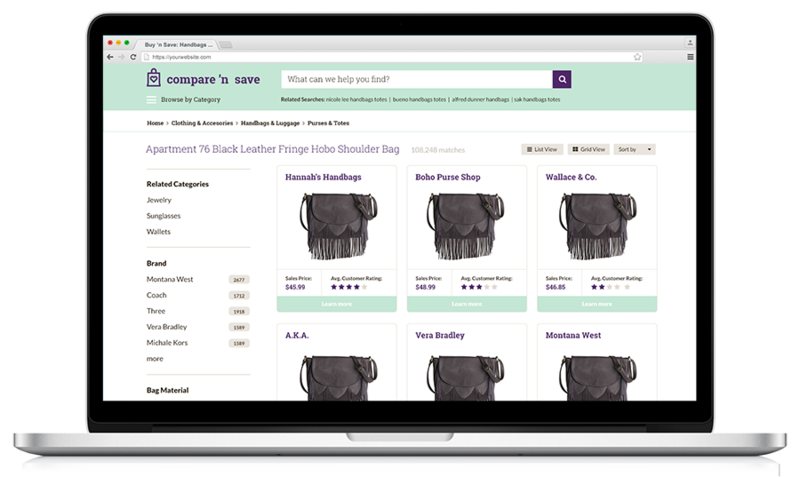 Compete: Ensure your products are competitively priced online. Optimize: Identify opportunities to outrank competitors in search results. Close: Boost conversions and increase sales. OneSpace is a workflow automation platform with a built-in network of freelance data collectors. Every subscription comes with a robust suite of features designed to help you collect competitor data at scale. Post custom assignments to a virtual workspace that your teams can use to collect competitor data anywhere, anytime. Collect competitor data at scale and optimize cost, velocity and quality using our point-and-click workflow automation tools. Start collecting competitor data in minutes using OneSpace’s customizable workflow templates. Each template includes automated quality control measures and instructions based on industry best practices. Establish approved resources, such as websites, online directories, or other tools. 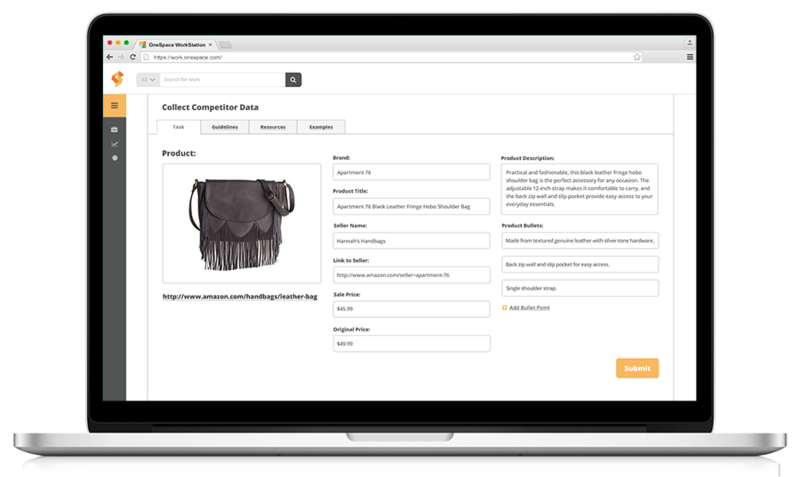 Supply the data collector with an authoritative starting point for collection, such as a product link or search results page. A trained data collector provides the desired information based on your requirements and list of approved sources. A trusted data reviewer or one of your internal team members reviews the information for accuracy and completeness. Enable our spot-checking feature to limit the number of tasks sent to review. Download the completed results for analysis, or use our API to automatically transfer results to your organization’s business intelligence software.